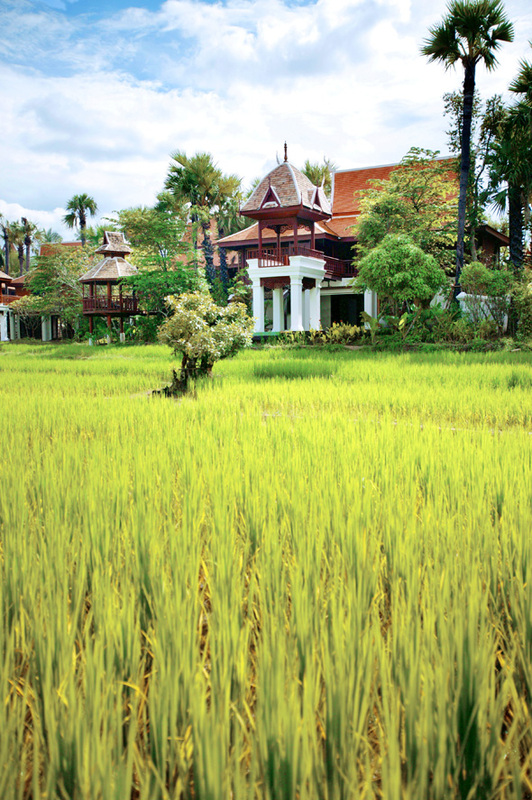 Spread over 60 acres of natural landscapes Mandarin Oriental Dhara Dhevi offers a self contained world of beauty, incorporating serene paddy fields and exotic plantations. 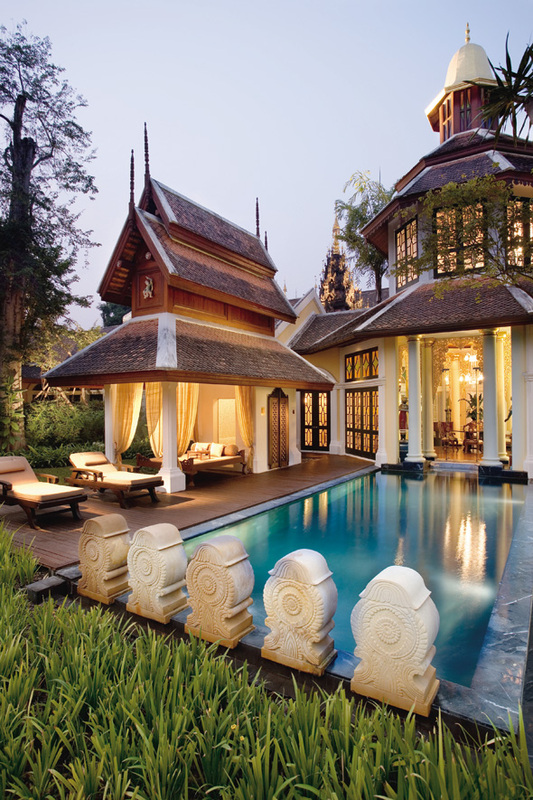 Mandarin Oriental Dhara Dhevi is Chiang Mai’s only luxury hotel and resort where you can enjoy one of the world’s most beautiful spas and surround yourself with the rich heritage of the Lanna Kingdom. 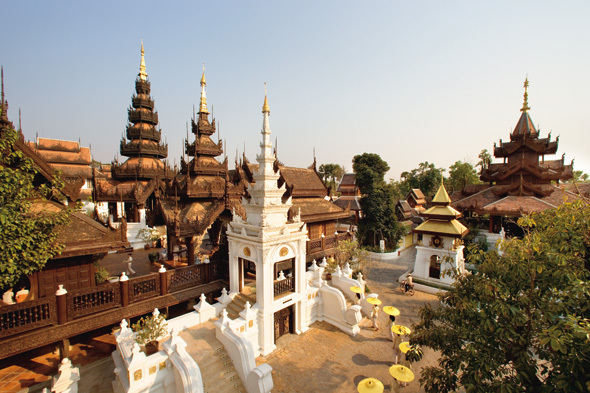 Chiang Mai spoils travelers with its natural beauty and its range of history and culture. The mountain scenery can simply be an inspirational backdrop or offer an adventure, with guided treks to discover indigenous tribes and the rich flora and fauna. 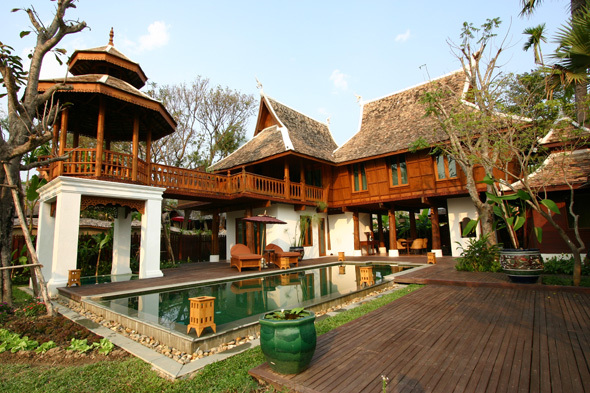 The 14th century wats can simply be admired for their intricate Lanna architecture or they may inspire a more meditative experience with exploration of Buddhism, practiced by 90% of Thais. And then the craft that can be viewed in factories, markets and the famous night bazaar is not only a cultural display but can become a rather addictive shopping experience. These many diversions are detailed by our concierge under Things to do and see. 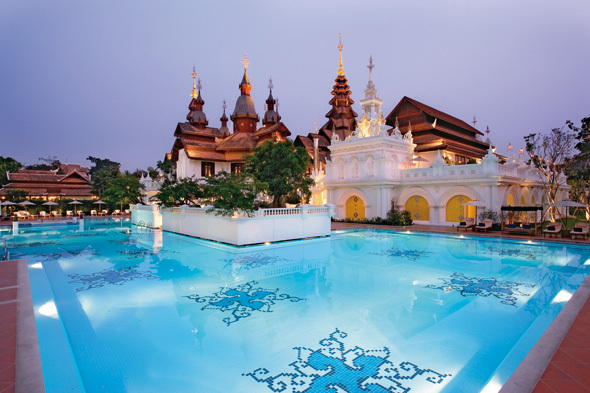 Meanwhile at Mandarin Oriental Dhara Dhevi we are proud to offer an entirely cultural experience that mirrors the essence of Chiang Mai. 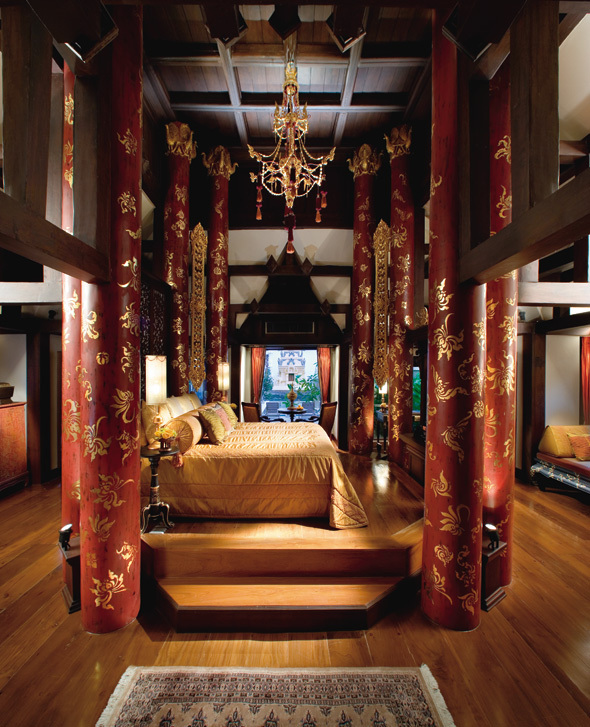 Created as a tribute to Lanna architecture, embracing the natural surroundings and home to a rare collection of Northern Thai antiquities our guests can enjoy an enriching experience in luxury fit for kings. 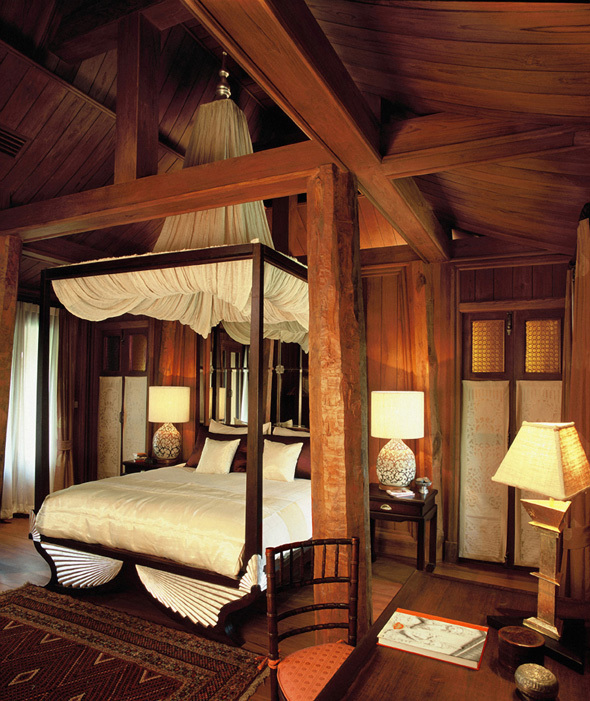 The design of our suites, villas and residences is a visual journey through the history of the Lanna region, from the glory of northern Thailand to the influences of neighbouring Myanmar, China and Laos and the introduction of colonial architecture. 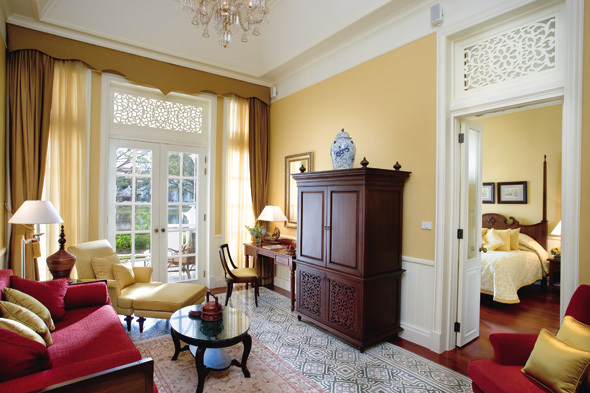 We offer our guests the choice of private two-floor villas, colonial-style suites or the grandeur of our Residences. 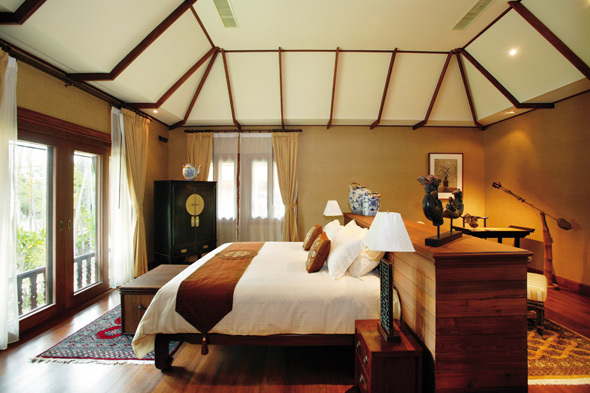 All of our spacious suites and villas have separate sitting areas and generously proportioned bathrooms and some villas feature private outdoor plunge pools. 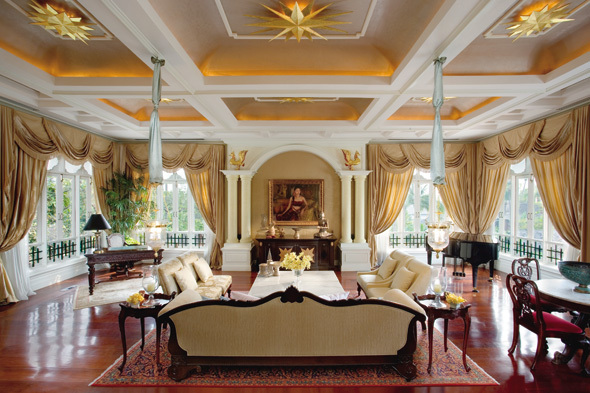 Throughout our resort, we offer an atmosphere of culture and calm, with the display of beautiful artifacts from our private collection amidst the welcome shroud of lush tropical greenery. 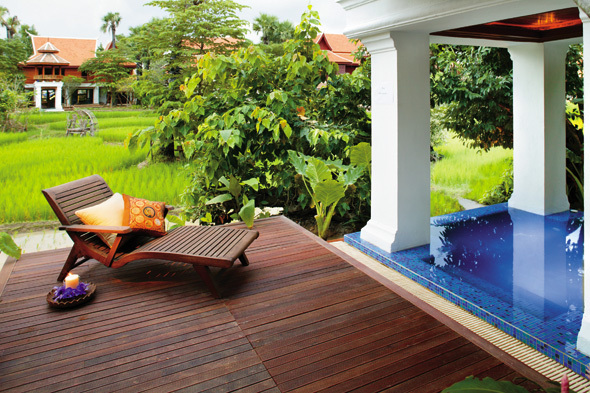 The Dheva Spa is named after the Star Goddess, guardian of longevity and spiritual enlightenment. Our staff are trained at our on site Academy, to the highest levels of professionalism. We offer an extensive range of holistic therapy: healing treatments , prescribed residential Wellness Programmes and our world renowned Ayurvedic centre. Beyond prescribed therapies we offer spiritual and physical guidance with yoga, pilates and exercise regimes. The Dheva Spa's facilities include no less than 18 treatment suites all designed for complete sensory harmony and our glorious heat & aqua oasis. 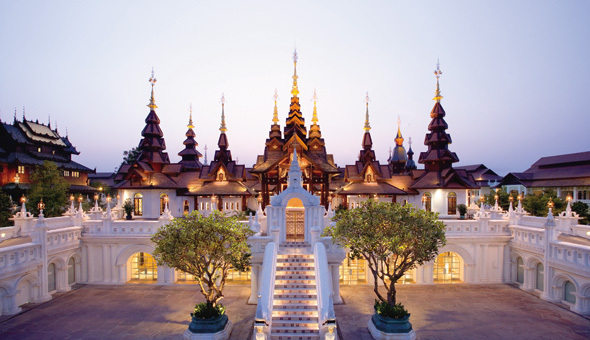 Thailand's first world-class destination spa is unique in both concept and design; created under the auspices of two health specialistsand inspired by an ancient Mandalay Palace. The seven tiered roof is representative of the journey we hope you will begin with us, that is the seven steps to nirvana and the attainment of spiritual and physical perfection. Every skyline has its star. 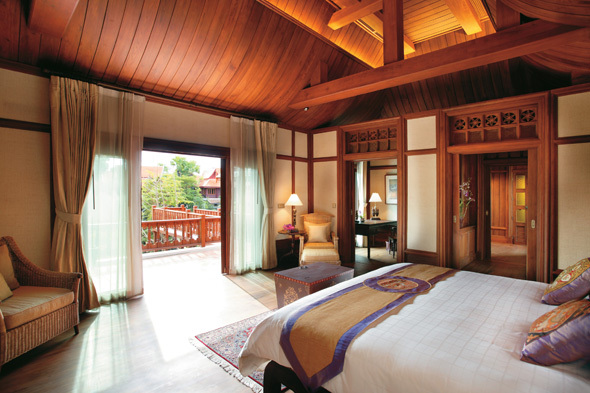 At Mandarin Oriental Dhara Dhevi, the Dheva Spa shines the brightest. Virtuoso Travel & Life, USA. Since opening, our spa has been showered with reviews and awards. Each evening you can meander through our 'city' and choose a new dining experience. 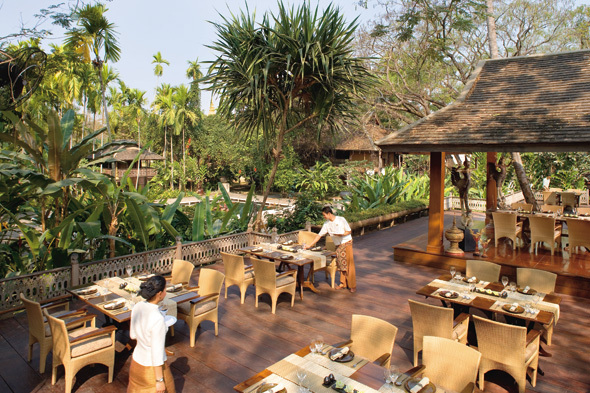 We offer marvellous settings inspired by the history of Lanna and cuisine that has gained both an international and highly valued local reputation. 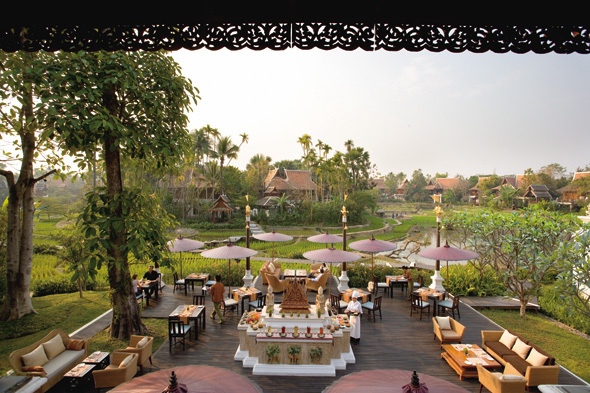 Le Grand Lanna is a renowned Chiang Mai establishment for authentic Thai cuisine; our Mediterranean restaurant is such a delight and nowhere creates dim sum delicacies as we do in Fujian. 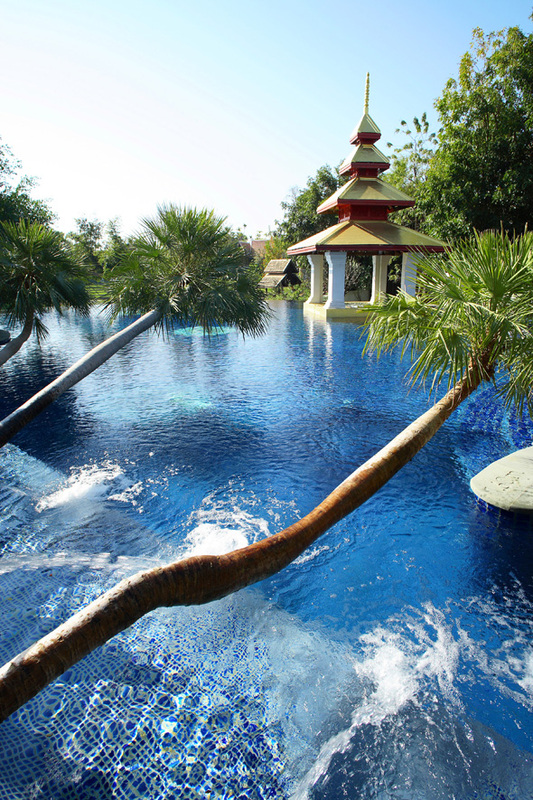 During the day there is always a soothing view, a shady terrace and poolside service. 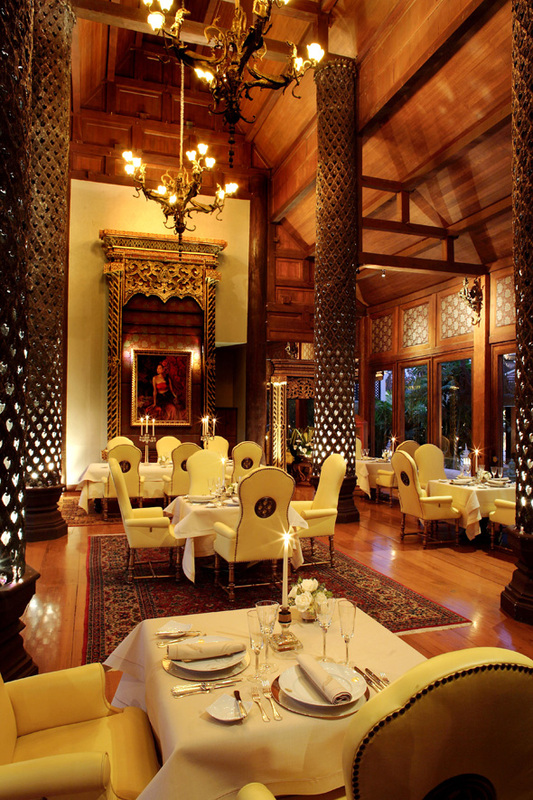 Below we have detailed our dining options but the choice is only limited by your imagination. 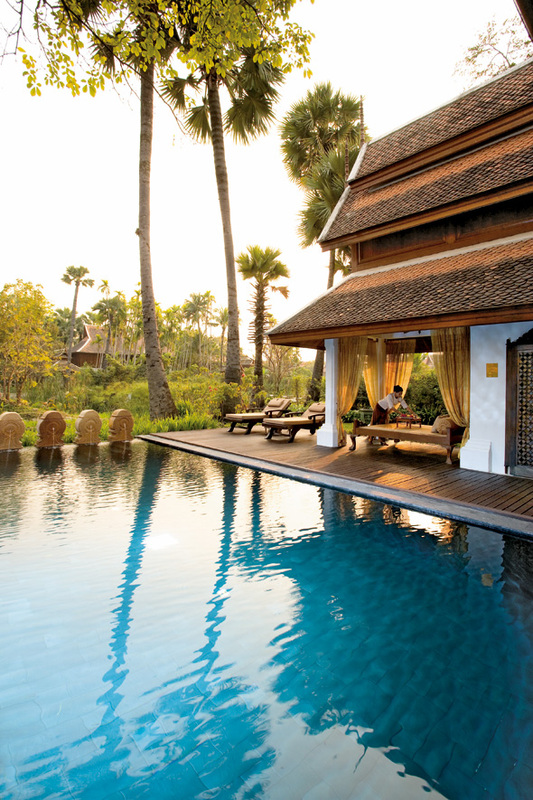 We are delighted to create private dining to your personal brief, from a torch lit barbecue in your villa to a candlelit dinner amidst the paddy fields.